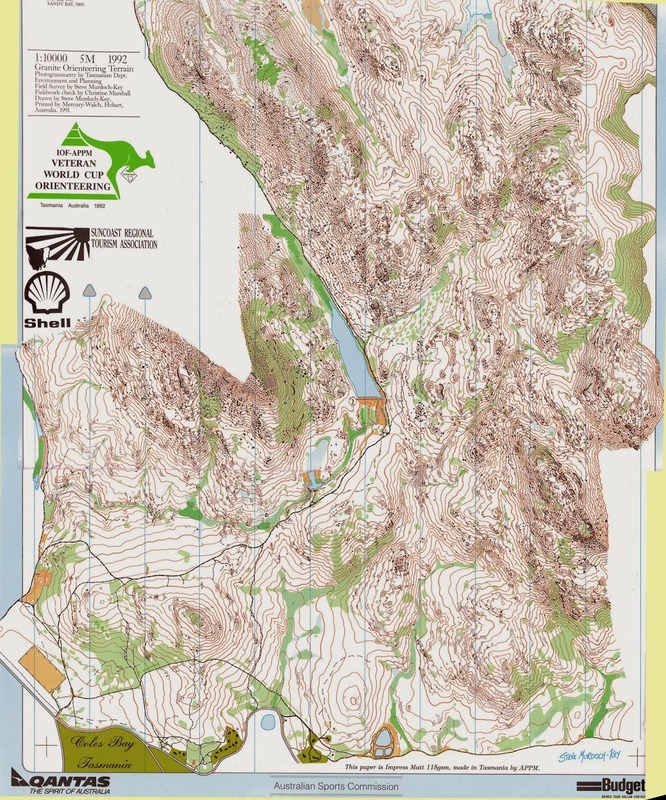 The Tasmania World Cup organisers have posted the old map of Coles Bay (the terrain for the middle distance) to the website. This is a fantastic part of the world, I suspect though that the forest will not be as runnable as one might suspect at first glance. You will definitely want to be terrain fit for this challenge. Check out the local area on Google Earth and familiarise yourself with what to expect. Print this map off and keep a copy on your wall, draw a middle distance course on it and make plans for how you would approach each leg and what you would expect to read.